Canadian negotiators have pointed out that the North American treaty doesn’t capture the value of high-tech equipment in autos, Reuters reported. A rule change to reflect tech advances is due. Complex supply chains call for new ways of measuring trade flows. A sign is pictured where the third round of NAFTA talks involving the United States, Mexico and Canada is taking place in Ottawa, Ontario, Canada, September 23, 2017. The sixth round of renegotiations on the North American Free Trade Agreement concluded in Montreal on Jan. 29. U.S. Trade Representative Robert Lighthizer dismissed a Canadian proposal related to so-called rules of origin for automobiles, saying it may lead to less regional content and fewer jobs in North America. 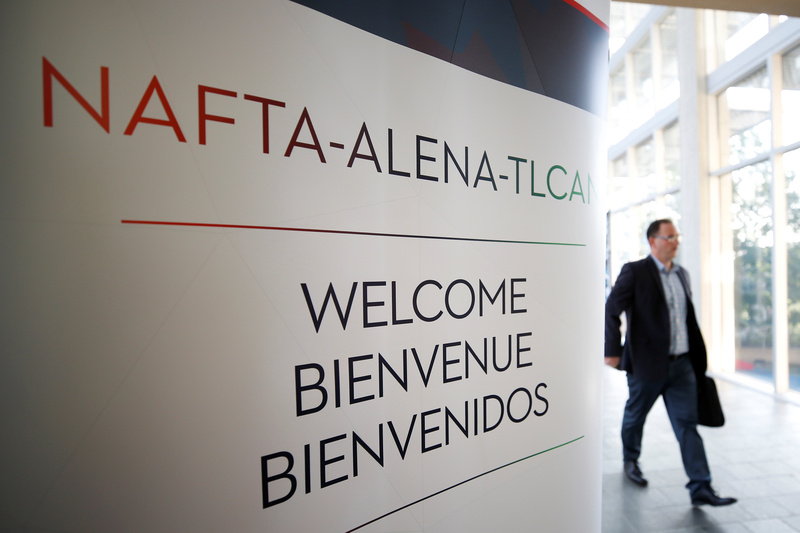 At present, NAFTA regulations require that at least 62.5 percent of the content of autos originate in North America in order to qualify for duty-free market access. American officials have proposed raising that level to 85 percent, including a requirement for 50 percent of content to hail from the United States. The current rules for tracing auto parts do not account for new software-based content made in Canada and the United States, among other things. Canadian negotiators suggested that North American content in auto manufacturing would be higher if the value of high-tech equipment such as software is taken into account, Reuters reported.